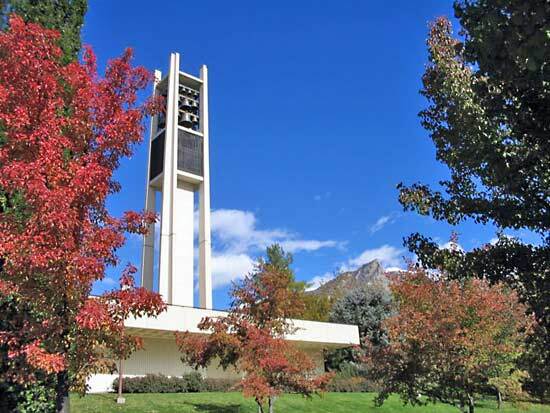 Is Brigham Young university testing center haunted? The university is America's largest religious university, and has the third-largest private university enrollment in the United States. Built on October 16th, 1875 the university is still being used as its original function and is a highly credible eductional center. I worked for the campus police department for several years. It was common practice among myself and my fellow officers that any incident which occurred in the Grant Building was a mandatory two-officer call. Several officers flat-out refused to enter the building after it was closed. Because of the large amount of student information contained in the building, it has a very elaborate security system, with several areas alarmed with both door/window sensors and motion detectors. We would often respond to reports of tripped alarms after hours only to discover that multiple doors had been opened even though no one was present in the building. Custodial staff would report in the morning that the desks in the main testing area would be found in disarray, as though someone had been in there all night moving the desks around, but the motion sensors had not been triggered. One night, I responded to an alarm in the building, and because no one else was available, I responded to the building alone. I first determined that the building was secured from the outside and that all the doors were locked. I then entered the building, which had been closed for approximately 3 hours. I had personally been in the building after closing to determine that everyone had left the building. The doors are electronically controlled, and logs anyone coming into or out of the building. I knew that no one had been in the building since I had left it. I found the building secure and empty. I was on the ground floor in a section of the building which has been renovated into offices. I checked the offices in case a faculty member or professor was present and found no one. I then left the office and secured the door. I locked the door with my master key, and as I turned away I heard a creaking noise. I turned and observed the very heavy, solid hardwood door opening on its own. This was the same door I had just secured. The door opened all the way until it touched the wall, at which point it slammed closed. I cleared from the call and left the building. For the duration of my time with the police department, I would not enter that building without at least two other armed officers.